For the short story, see The Boarding House. For the film, see Boardinghouse (film). 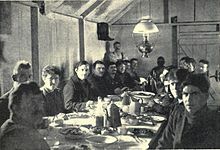 A boarding house is a house (frequently a family home) in which lodgers rent one or more rooms for one or more nights, and sometimes for extended periods of weeks, months, and years. The common parts of the house are maintained, and some services, such as laundry and cleaning, may be supplied. They normally provide "room and board," that is, at least some meals as well as accommodation. Lodgers legally only obtain a licence to use their rooms, and not exclusive possession, so the landlord retains the right of access. Boarders can often arrange to stay bed-and-breakfast (bed and breakfast only), half-board (bed, breakfast and dinner only) or full-board (bed, breakfast, lunch and dinner). 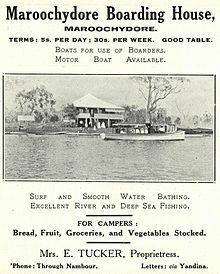 Especially for families on holiday with children, boarding (particularly on a full-board basis) was an inexpensive alternative and certainly much cheaper than staying in all but the cheapest hotels. In the United Kingdom, boarding houses were typically run by landladies, some of whom maintained draconian authority in their houses: the residents might not be allowed to remain on the premises during the daytime and could be subject to rigorous rules and regulations, stridently enforced. Boarding houses were common in growing cities throughout the 19th century and until the 1930s. 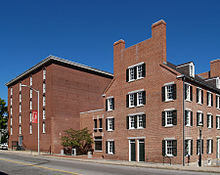 In Boston in the 1830s, when the landlords and their boarders were added up, between one-third and one-half of the city's entire population lived in a boarding house. Boarding houses ran from large, purpose-built buildings down to "genteel ladies" who rented a room or two as a way of earning a little extra money. Large houses were converted to boarding houses as wealthy families moved to more fashionable neighborhoods. The boarders in the 19th century ran the gamut as well, from well-off businessmen to poor laborers, and from single people to families. In the 19th century, between 1/3 to 1/2 of urban dwellers rented a room to boarders or were boarders themselves. In New York in 1869, the cost of living in a boarding house ranged from $2.50 to $40 a week. [a] Some boarding houses attracted people with particular occupations or preferences, such as vegetarian meals. The boarding house reinforced some social changes: it made it feasible for people to move to a large city, and away from their families. This distance from relatives brought social anxieties and complaints that the residents of boarding houses were not respectable. Boarding out gave people the opportunity to meet other residents, so they promoted some social mixing. This had advantages, such as learning new ideas and new people's stories, and also disadvantages, such as occasionally meeting disreputable or dangerous people. Most boarders were men, but women found that they had limited options: a co-ed boarding house might mean meeting objectionable men, but an all-female boarding house might be – or at least be suspected of being – a brothel. Boarding houses attracted criticism: in "1916, Walter Krumwilde, a Protestant minister, saw the rooming house or boardinghouse system [as] "spreading its web like a spider, stretching out its arms like an octopus to catch the unwary soul." Attempts to reduce boarding house availability had a gendered impact, as boarding houses were typically operated or managed by women "matrons"; closing boarding houses reduced this opportunity for women to make a living from operating these houses. Later, groups such as the Young Women's Christian Association provided heavily supervised boarding houses for young women. Boarding houses were viewed as "brick-and-mortar chastity belts" for young unmarried women, which protected them from the vices in the city. The Jeanne d'Arc Residence in Chelsea, which was operated by an order of nuns, aimed to provide a dwelling space for young French seamstresses and nannies. Married women who boarded with their families in boarding houses were accused of being too lazy to do all of the washing, cooking, and cleaning necessary to keep house or to raise children properly. While there is an association between boarding houses and women renters, men also rented, notably the poet-authors Walt Whitman and Edgar Allan Poe. In the decades after the 1880s, urban reformers began working on modernizing cities; their efforts to create "uniformity within areas, less mixture of social classes, maximum privacy for each family, much lower density for many activities, buildings set back from the street, and a permanently built order" all meant that housing for single people had to be cut back or eliminated. By the early 1930s, urban reformers were typically using codes and zoning to enforce "uniform and protected single-use residential district[s] of private houses", the reformers' preferred housing type. In 1936, the FHA Property Standards defined a dwelling as "any structure used principally for residential purposes", noting that "commercial rooming houses and tourist homes, sanitariums, tourist cabins, clubs, or fraternities would not be considered dwellings" as they did not have the "private kitchen and a private bath" that reformers viewed as essential in a "proper home". As a result, boarding houses became less common in the early 20th century. Another factor that reduced boarding house numbers was that improved mass transit options made it feasible for more city residents to live in the suburbs and work in the city. By the 1930s, they were uncommon in most of the United States. In the 1930s and 1940s, "rooming or boarding houses had been taken for granted as respectable places for students, single workers, immigrants, and newlyweds to live when they left home or came to the city". However, with the boom in housing in the 1950s, middle class newcomers could increasingly afford their own homes or apartments, which meant that rooming and boarding houses became used mainly by post-secondary "students, the working poor, or the unemployed". By the 1960s, rooming and boarding houses were deteriorating, as official city policies tended to ignore them. The common lodging-house or flophouse usually offered a space to sleep, but little else. When used for temporary purposes, this arrangement was similar to a hostel. Flophouse beds may offer dormitory-style space for as little as one night at a time. A lodging house, also known in the United States as a rooming house, may or may not offer meals. Single room occupancy (SRO) buildings rent individual rooms to residents, and have a shared bathroom; some may have a shared kitchen space for residents to cook their own meals. Dormitory accommodations for post-secondary students, with a cafeteria, are similar to a boarding house. In the 2010s, microapartments with one or two rooms rented plus access to shared common spaces in the building, are very similar to boarding houses. WeWork, a company mostly known for its shared coworking rental spaces, is also offering shared housing arrangements in which renters get a private bedroom but share a kitchen, living room, and other common areas. Bed and breakfast accommodation (B&B), which exists in many countries in the world (e.g. the UK, the United States, Canada, and Australia), is a specialized form of boarding house in which the guests or boarders normally stay only on a bed-and-breakfast basis, and where long-stay residence is rare. However some B&B accommodation is made available on a long-term basis to UK local authorities who are legally obliged to house persons and families for whom they have no social housing available. [clarification needed] Some such boarding houses allow large groups with low incomes to share overcrowded rooms, or otherwise exploit people with problems rendering them vulnerable, such as those with irregular immigration status. Such a boarding-house may well cease to be attractive to short-term lodgers, and the residents may remain in unsatisfactory accommodation for long periods. Much old seaside accommodation is so used, since cheap flights have reduced demand for their original seasonal holiday use. Apart from the worldwide spread of the concept of the B&B, there are equivalents of the British boarding houses elsewhere in the world. For example, in Japan, minshuku are an almost exact equivalent although the normal arrangement would be the equivalent of the English half-board. In Hawaii, where the cost of living is high and incomes barely keep pace, it is common to take in lodgers (who are boarders in English terminology) that share the burden of the overall rent or mortgage payable. In the Indian subcontinent boarders are also known as paying guests. Paying guests stay in a home and share a room with domestic facilities. Rates are nominal and monthly charges are usually inclusive of food, bed, table and a cupboard. The rent can go higher for a room in an upscale locality with facilities like single occupancy, air conditioning and high-speed wireless internet access. In the United States, zoning was used by neighborhoods to limit boarding houses. Sherlock Holmes lived in a boarding house at 221B Baker Street, of which the landlady Mrs. Hudson provided some domestic service. Mary Roberts Rinehart wrote the now classic boarding-house mystery, The Case of Jennie Brice, in 1913. H. G. Wells satirized boarding houses of the Edwardian era in his novel The Dream (1924). E. Phillips Oppenheim set his espionage novel, The Strange Boarders of Palace Crescent (1934) in a London boarding house. The climax of Patrick Hamilton's 1941 novel Hangover Square occurs in a dingy Maidenhead boarding house. Lynne Reid Banks's 1960 novel The L-Shaped Room is set in a run-down boarding house. Ben Mears, the main character in the 1975 horror novel Salem's Lot by Stephen King, stays at Eva Miller's boarding house. Harry Dresden, from the book series The Dresden Files by Jim Butcher lives in the rented basement of a boarding house early on in the series. In True Grit, the main protagonist, Mattie Ross, stays at the Monarch Boarding House where she is forced to share a bed with Grandma Turner, one of the long-term residents and where a robust communal meal takes place. The young heroes in Horatio Alger's 19th Century rags-to-riches tales often experience life in boarding houses and single works often depict both unscrupulous and kindly boarding house proprietors as the characters make their way upward (or downward) in the world. The 1922 film, The Light in the Dark, has a boarding house as it's setting. The 1927 film, The Lodger, also has a boarding house as its setting. In the 1933 film, Son of Kong, Carl Denham (Robert Armstrong) stays in a boarding house. The 1937 film, Stage Door, has a boarding house for its setting. In the 1939 film, The Story of Alexander Graham Bell, Alexander Graham Bell (Don Ameche) stays in a boarding house. In the 1941 film, Citizen Kane, Kane's parents own a boarding house. In the 1942 film, Yankee Doodle Dandy, George M. Cohan (James Cagney) stays in a boarding house. In the 1942 film, The Magnificent Ambersons, the original ending took place in a boarding house. In the 1946 film, It's a Wonderful Life, the Baileys own a boarding house. The 1950 film, Riding High, briefly shows a boarding house. Much of the plot in the 1951 film The Day the Earth Stood Still, takes place in a Washington, DC boarding house. In the 1952 film, The Story of Will Rogers, Will Rogers (Will Rogers Jr.) stays in a boarding house. In The Shootist (1976), J. B. Books (John Wayne) rents a room at a Carson City, Nevada boarding house. Dying of cancer, Books wishes to end his days in peace and quiet. But old enemies with scores to settle converge. In the film Tales from the Crypt: Demon Knight, the film takes place in a boarding house. It was once a church until it was turned into a boarding house. Brayker and the residents battle the demons in this place. Sandy Brooks and Nick Snowden the main characters in Snow lived in a boarding house. In Brooklyn, the main protagonist, Eilis Lacey, stays at a boarding house. Mary Richards, the main character in The Mary Tyler Moore Show, lives in a studio apartment in a Victorian boarding house. In the cartoon Groovie Goolies, the characters of that show reside at a boarding house called Horrible Hall that is located on Horrible Drive. The titular protagonist of the Nickelodeon television show Hey Arnold! lives in a boarding house owned by his grandparents called Sunset Arms. In The Vampire Diaries, Stefan and Damon Salvatore live in the old Salvatore Boarding house when they return to Mystic Falls. In The Andy Griffith Show, Barney Fife is a long-term resident of a boarding house run by Mrs. Mendelbright. When she catches Barney cooking in his room with a hot plate, she asks him to leave. The South Korean television series Reply 1994 is set in a nineties boarding house. In the Torchwood episode "Immortal Sins", Jack Harkness, and his companion Angelo Colasanto stay in a boarding house. Many of the scenes in the comic strip Bloom County took place at the Bloom Boarding house owned by the family of main character Milo Bloom. Our Boarding House (1921–1984) was an American single-panel cartoon and comic strip set in a boarding house run by the sensible Mrs. Hoople. ^ For comparison purposes, a laborer in the construction trades in New York usually earned $1.00 to $1.50 per day around that time. ^ Chisholm, Hugh, ed. (1911). "Boarding-House" . Encyclopædia Britannica. 4 (11th ed.). Cambridge University Press. p. 95. ^ a b c d e f g h i j k l m n o p q r Graham, Ruth (13 January 2013). "Boardinghouses: Where the City was Born". The Boston Globe. Retrieved 2018-04-20. ^ a b c d Hester, Jessica Leigh (22 February 2016). "A Brief History of Co-Living Spaces". www.citylab.com. City Lab. Retrieved 10 November 2018. ^ Wholesale prices, wages, and transportation. Report by Mr. Aldrich, from the Committee on Finance, March 3, 1893. Washington. 1893. p. 449. 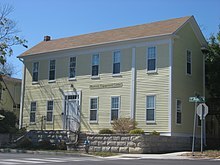 Wikimedia Commons has media related to Boarding houses.